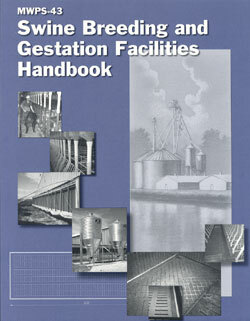 Swine Breeding and Gestation Facilities Handbook is a great resource where producers and builders can learn everything needed to plan, construct, and manage a swine breeding and gestation facility. More than 90 figures, photographs, and tables plus 11 examples complement the text. Five breeding herd inventory worksheets and a boar usage chart complete the book.